The platform for low-carbon business – Fast, easy, always up-to-date. Companies are increasingly being pressured to manage their carbon emissions – from customers concerned about climate change, governments responding to that concern, and investors who see carbon as a risk. Companies are also finding managing carbon is good for business. To cite just one statistic, according to KPM firm value is decreased by £212 million for each megatonne of CO2 released each year. 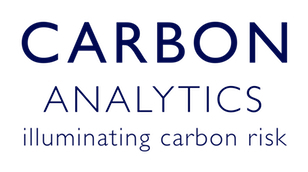 Measuring and managing carbon emissions can be an expensive and time consuming process. This is largely because three quarters of a company’s emissions are typically in their supply chain, and companies rarely know who is in their supply chain, let alone what their emissions are. We solve this problem by making it quick and easy to for a company to map the emissions in their supply chain. 1. The 75% of the UK’s largest companies who actively report their greenhouse gas emissions. Our tool can provide those companies with greater insight and control over their carbon footprint than existing solutions. 2. The suppliers to the UK’s largest companies. These suppliers will be able to use our tool to make them look more attractive to their clients. 3. Low carbon suppliers. These companies will want to supply the UK’s largest companies but would otherwise have limited means to advertise themselves. We provide an online platform that requires only basic financial data to map the emissions in a company’s supply chain and automatically provide recommendation for reducing those emissions. We charge an annual subscription for access to our platform.